Why Buy and Store Wine in the U.S.? Try our wine import calculator below to see how much you can save. Take advantage of a large selection available in the U.S.. 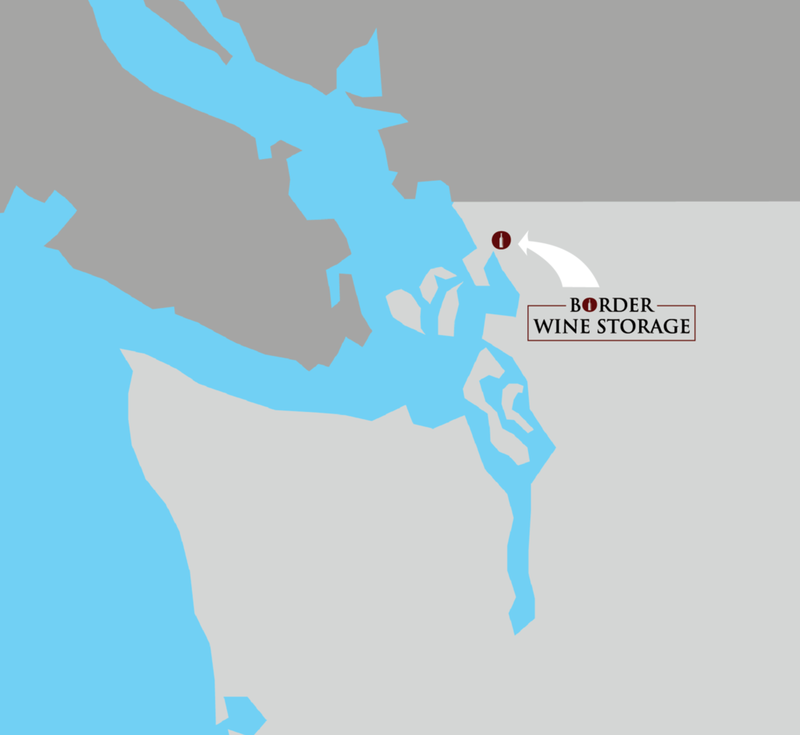 Located just 24 km from the Canadian border, you can simply buy wine in the U.S. and store it close to home. 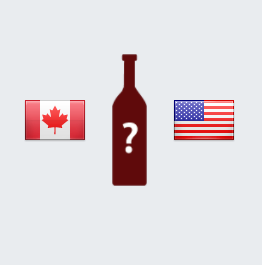 We created a simple calculator to show you the cost difference when buying a specific wine in Canada vs. buying the same wine in the U.S (after applicable tax, duty and foreign exchange). Enter the purchase price in Canada ($CAD) and in the U.S. ($USD) to get a FINAL take home price. It appears this wine is less expensive to purchase in Canada. 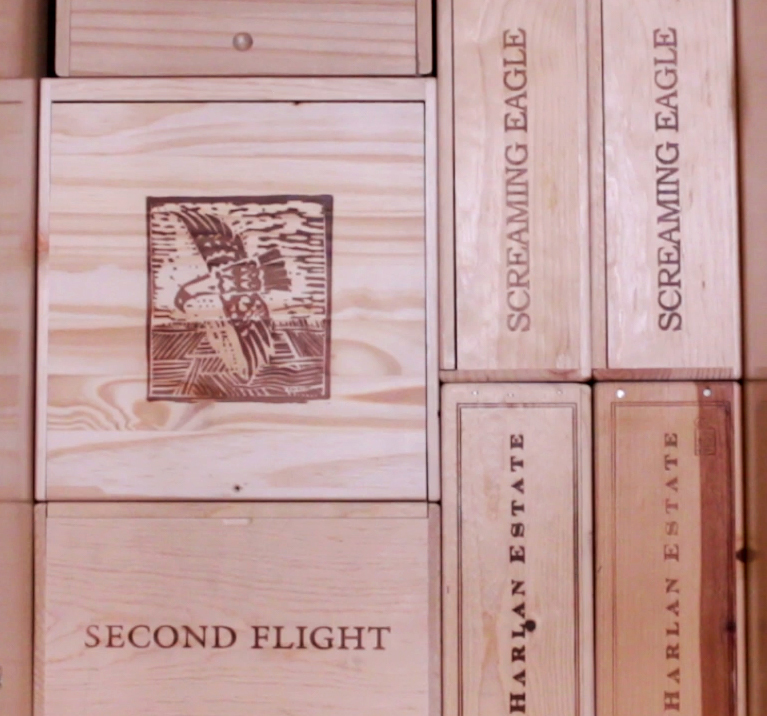 We may be able to help you find the wines you are looking for in the U.S. at a lower price. Contact us with the type of wines you are looking for. * We've researched and tested the accuracy of the calculator (e.g., driving back/forth across the border), but we don't guarantee it's accuracy. 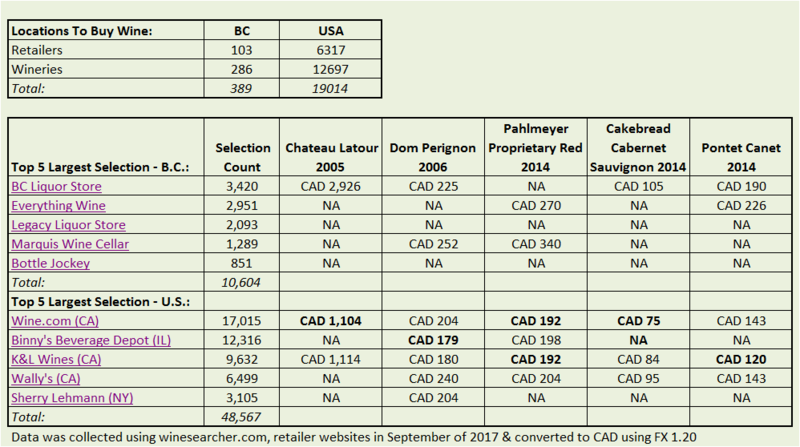 Selection & Pricing Data: B.C./U.S. Competition is good for the consumer but the B.C. Liquor Distribution Branch has a monopoly on all wine trade. Pricing aside, this arrangement does not work for a worldly product that spans so many countries and changes with each vintage. We believe that everyone should have the ability to source the greatest wines in the world and there is no good reason why it should cost more in one part of the world versus another. As a well-respected person in the wine industry often says when speaking about pricing variation "Does it taste 50% better in Vancouver than it does in Seattle?" Just minutes away from the Washington/British Columbia border and conveniently located just off Interstate 5! Our facility is located right off I-5 near exit 262 allowing you to pop off the freeway in route from Vancouver (67km), Peace Arch (24km), Bellingham Airport (10km), Bellis Fair/Costco (10km), SeaTac Airport (178km).